MONDAY, June 4, 2018 (HealthDay News) -- Not every food you eat has to be low-calorie when you want to lose weight. There are many nutritious and tasty foods that can help you feel satisfied, rather than deprived, and that's important when you're facing calorie restrictions day in and day out. The key to including them is careful portion control. 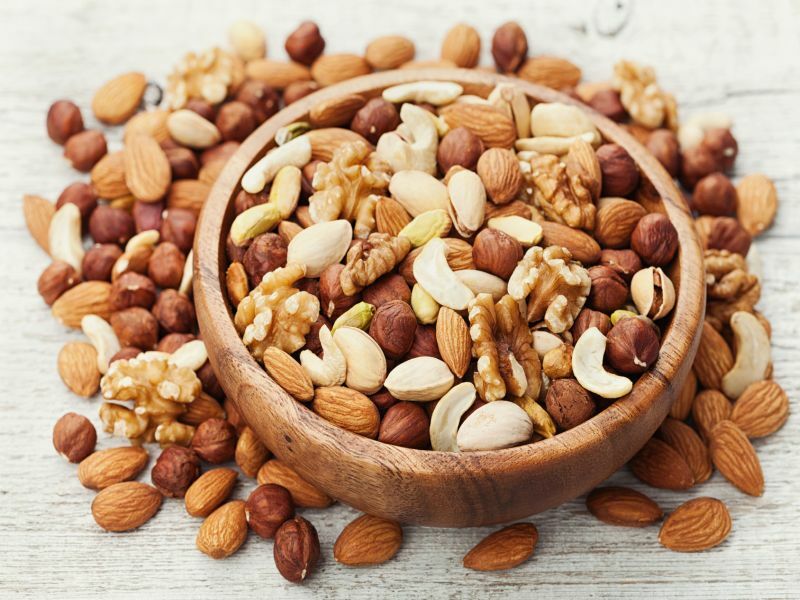 Nuts are heart-healthy, especially almonds, walnuts and hazelnuts, but they come in at about 180 calories per ounce, so make that your daily nut limit. You'll often see a portion described as a "handful," but that's too subjective a way to measure them. Use a food scale. Sweet potatoes have 120 calories per half-cup, but when slow roasted, they don't need any toppings, especially not butter, which could easily double the calories. These vitamin A powerhouses are filling and loaded with many other nutrients, making them a very worthy vegetable among starches. Yes, olive oil is a fat. However, it's a mono-unsaturated fat, which won't raise your cholesterol level -- unlike saturated fats like butter and lard. Though it's 120 calories per tablespoon, all you need is a drizzle of oil for salad dressing or to saute vegetables or a chicken breast. To be very judicious with your use, use an oil sprayer. Avocadoes are rich in a wide variety of nutrients and taste rich, too --important when you're trying to eat less. Half a cup of a Hass avocado has about 100 calories. Choose a ripe one and mash it with red onion, cilantro, chopped jalapeno and lime juice for a great guacamole or simply add plain cubes to salads. You can even mash a slice to replace mayonnaise on a sandwich. Remember that when dieting, enjoying what you eat is important. As long as you track portion sizes, these foods can be on the menu.